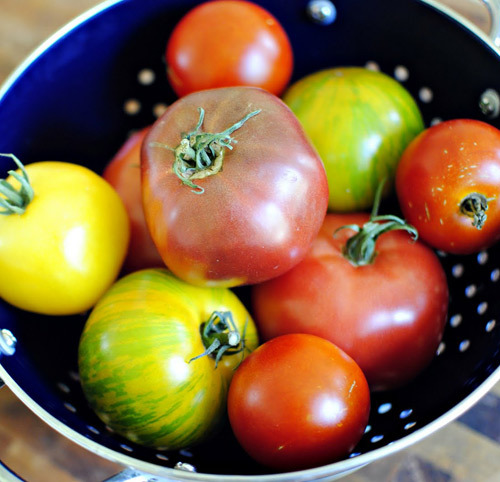 Cut tomatoes in half crosswise, season with the seasoning mixture. Heat the oil to medium in a small frying pan. Add garlic and cook until golden brown and pour into a bowl. Oil and preheat grill to high heat. Place the tomatoes cut side down on grill for 3-5 minutes. Turn over, top with the garlic mixture and continue to cook for another 3 minutes. Remove and top with thyme, seasonings and parmigiano-reggiano. This entry was posted in Modified Profast (Fast and Flexible) Recipes, Salad, Vegetables and tagged basil, garlic, garlic grilled tomatoes, herbs, Metabolic Medical Center Recipes, oregano, parmigiano-reggiano, Salad, side dish, thyme, tomatoes, Vegetable, vegetarian by foodies4mmc. Bookmark the permalink.